Come and enjoy delicious desserts and coffee and learn about The Arc of Whatcom County. 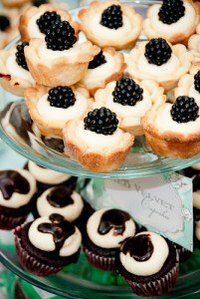 Treats will include lemon cupcakes, chocolate cupcakes, coconut macaroons, nanaimo bars, maple pecan bars and citrus cakes. Amazing decadent desserts and delicious coffee...what could be better?!? There also will a silent auction with fabulous treats and nights out on the town. Pure Bliss Desserts (1424 Cornwall Avenue, Bellingham) is hosting the reception on Monday, June 6th from 6:30-8:30pm. The reception is only $20 per person. Please bring your friends, co-workers, family and neighbors. They are sure to enjoy themselves AND learn of a very worthy, effective organization. Your support of The Arc will help continue our work to building an inclusive community for all! This is a wonderful opportunity to renew your annual membership; become a member of The Arc; meet other members in our community; and learn about The Arc's valuable programs and workshops. Everyone is welcome to join our celebration. Please bring your family and friends and introduce them to The Arc. (Bring the kiddos too...we will have bubbles, hula hoops and face painting!) Pizza, drinks and dessert will be provided. If you have any questions, please call us at 360-715-0170. We look forward to seeing you soon!